Since acquiring Norbec’s second factory located in Saint-Hyacinthe in 2008, it had never been the subject of major renovations. With strong business growth in the last years, this architectural panel manufacturing plant will go through a layout reconfiguration as well as a well-deserved design update to its offices. To begin, the curing area, which occurs at the end of the panel’s creation cycle, will be expanded to a total of 15 000 ft2. The stage of curing is a crucial step and needs to be kept at a controlled temperature in order to retain the insulating properties of the panel. 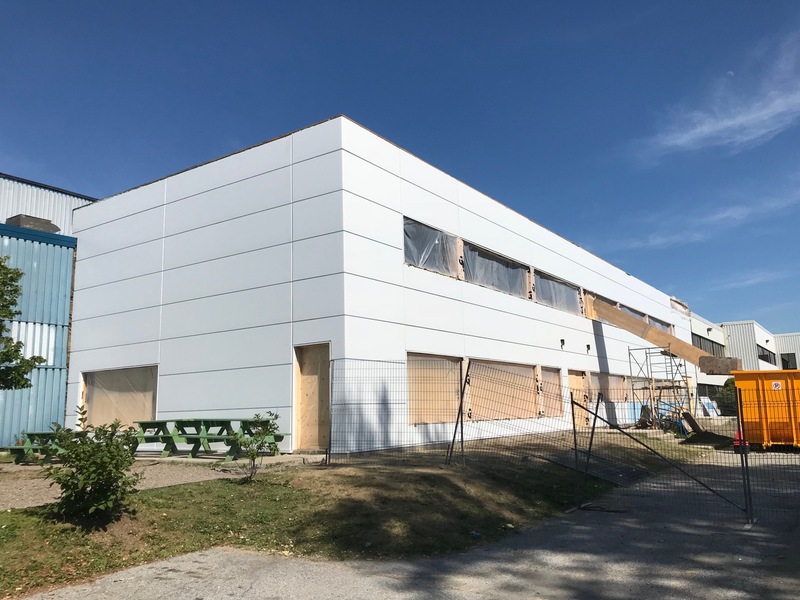 Because of the varying temperatures of the Quebec climate, the need for a greater interior space was put at the forefront of the renovation projects to enable the factory to increase the amount of projects it can undertake. To ensure optimal production planning and project follow-ups, the renovations will also include the revamping of the current office spaces. Being relocated and with a total of 7 500ft2, which will span on two levels, the new space will be dedicated to creating a refreshing and productive work environment. The design of this area will reflect the improved image of Norbec as well as creating a complimentary flow with the new exterior and factory remodel. These renovations will help position Norbec’s image and status as well as create a trendy and functional environment, surely to be a great motivation for the employees. With the growing demand for the architectural panels, this makeover will increase the projects that can be produced and help minimise lead time. In a couple of weeks, the Saint-Hyacinthe factory will be ready to occupy the new spaces. Stay tuned for pictures of the completed project, or pass by if you’re in the neighborhood.